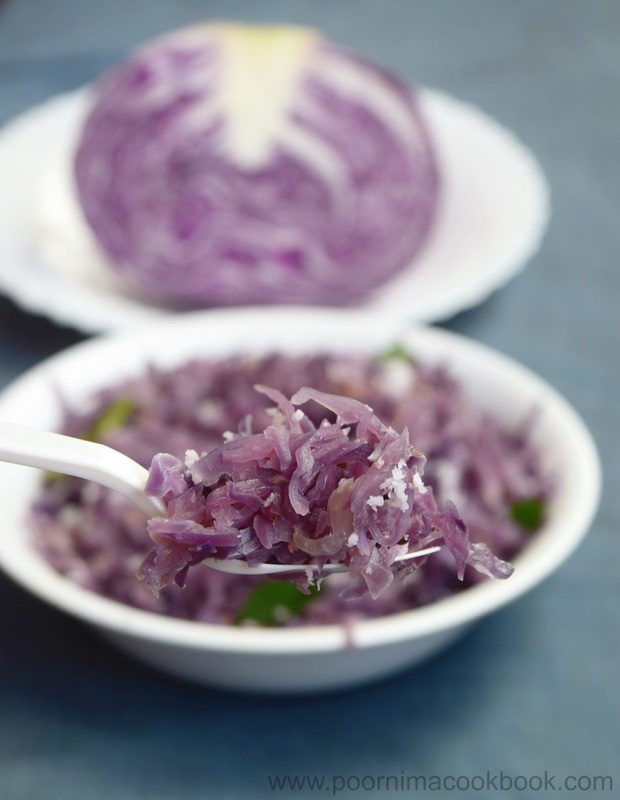 Purple Cabbage is a low calorie vegetable but with good amount of carbohydrates, fiber, vitamins and minerals. It's a boon for weight watchers because of its low calorie content. It's also high in antioxidant level than the normal cabbage. The deep colour in purple cabbage indicates a richer supply of anthocyanins, which can help lower the risk of cancer, heart disease and many other diseases. Despite, its health benefits, it's not a common day-to-day vegetable though to an extent used in salads. 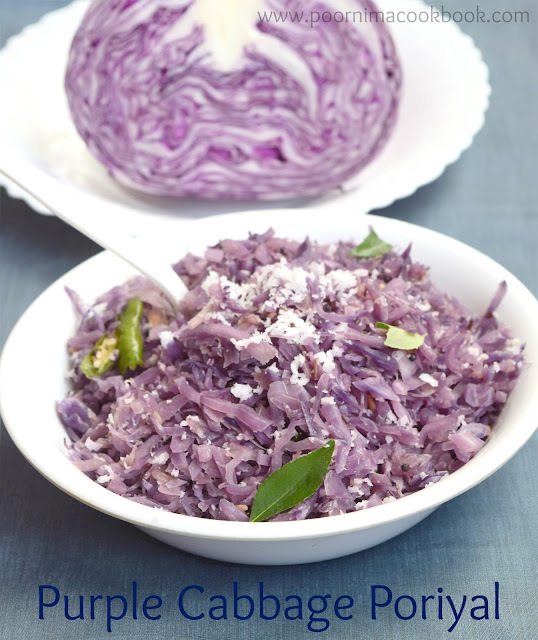 Purple Cabbage Poriyal is a successful attempt to include it in our routine diet to reap its benefits for a healthy living and it became an instant hit in our family! Here's the recipe to try it out in your homes for its benefits. Grate and chop the cabbage into bite size pieces; keep aside. After it crackles, add chopped onion, grated ginger and green chilli. Fry till onion becomes translucent. Now add chopped cabbage, salt, red chilli powder and water (just sprinkle). Give it a mix. 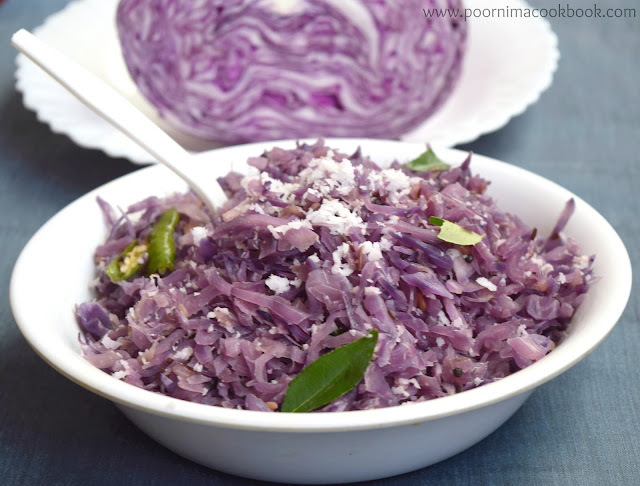 Colourful & nutritious Purple Cabbage poriyal is ready to eat.